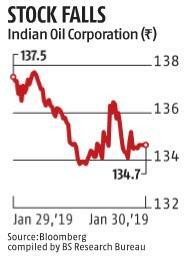 State-run Indian Oil Corporation (IOC) has posted a 91 per cent drop in net profit for the third quarter of the financial year to Rs 716.82 crore, owing to a higher inventory loss during the quarter. The company had a net profit of Rs 7,883.22 crore during the third quarter of the 2017-18 financial year. The non-payment of 93 per cent of subsidy reimbursement by the government on cooking gas has led to an additional burden of Rs 11,816 crore on the company, which in turn increased its borrowings. The government subsidy dues amount to over 19 per cent of the total Rs 62,000 crore borrowings that the company has, putting the entire finance costs of the company at Rs 3,066 crore for the first nine months of the financial year. The revenue from operations for the quarter under review stood at Rs 1.60 trillion, up 22 per cent from Rs 1.30 trillion during the third quarter of 2017-18. 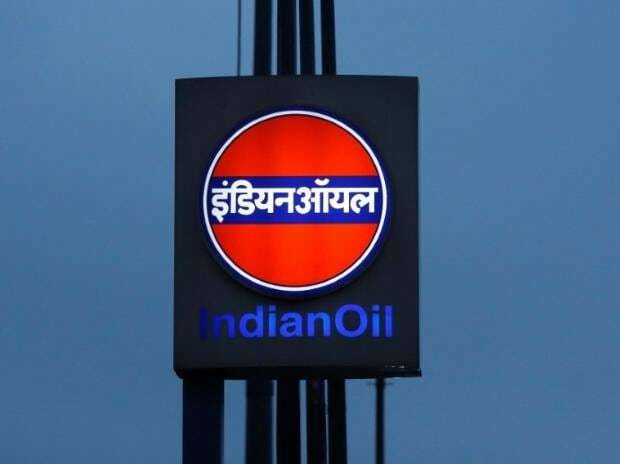 “The drop in net profit is mainly due to an inventory loss of Rs 6,655 crore due to falling oil prices, compared to an inventory gain of Rs 5,220 crore during the same time last year,” said Sanjiv Singh, chairman, IOC. During the quarter under review, the company’s gross refining margin (GRM) was seen at $1.15 a barrel, compared to $12.32 a barrel. For the third quarter, IOC’s product sales volume, including exports, was 22.794 mt. The refining throughput was 18.982 mt during the quarter and the throughput of the corporation’s countrywide pipeline was 23.083 mt during the period. Talking about the imports of crude oil from Iran, Singh added that the company is expecting an extension of waiver. The company’s director finance, A K Sharma, indicated that the non-payment of dues is adding pressure on the company’s borrowings. During the current financial year, overall subsidy burden on LPG and kerosene is expected to be around Rs 46,000 crore, as the crude oil prices averaged around $73.69 a barrel in April-September period. The total subsidy on LPG during the first half of the financial year comes to around Rs 14,013 crore, compared to around Rs 20,905 crore during the entire financial year 2017-18.